Where will all the workers go...? The ‘rise of the machines’ will have little impact on overall employment levels but will lead to rising labour market inequality and changes in demand for skills, David Dorn concluded at this year’s Global Economy Lecture. A commentary by Robert Stehrer. In the era of digitalisation the question of the future of employment and jobs is back on the agenda. 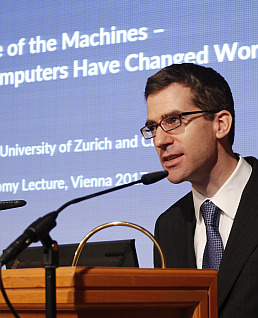 A number of recent studies have looked at the employment impact of computerisation – also termed the Fourth Industrial Revolution – and reported alarming results. Osborne and Frey (2013) conclude that in the US about 47% jobs are at risk of computerisation; similar studies for Europe suggest even higher numbers, with 54% of jobs being at risk. Though these figures received a lot of media attention, their approach has been widely criticised. For example, according to the OECD (2016) , across 21 of its member countries only around 9% of jobs are automatable; a number also confirmed for individual countries like Austria or Germany. Historically, employment has always won the race against technology in the long run. This debate on the employment impacts of technological progress has a long tradition. The thinking about the impact of technological revolution on labour demand was, for example, an important matter of discussion before and during the first industrial revolution (see David Ricardo’s famous chapter 31 “On Machinery”, added to his Principles in its 3rd edition in 1821). Other industrial revolutions – the introduction of electricity and mass production, and the introduction of microelectronics – triggered similar discussions. In the long run, however, employment levels always recovered from these shocks. The reasons are that technological changes imply productivity gains, which result in higher income, lower prices, demand for capital investment and thus increased demand. Employment levels today are – in historical terms – at unprecedented high levels. Nevertheless, technological changes can imply painful adjustment processes and creates changes the structure of employment. While in the long run it seems that employment recovers even after technological revolutions, it might be the case that unemployment in the short run increases due to the automation of jobs. This process has been dubbed ‘technological unemployment’, a term introduced by JM. Keynes. It can also be the case that compensating mechanisms (demand for new investments, a fall in prices, etc.) take some time to kick in. Recent studies do not find a strong negative impact on employment levels or strongly increasing overall unemployment as a result of technological change. However, there is overwhelming evidence that some jobs will undergo significant changes in the coming years, with routine tasks being particularly at risk of competition from robots. Moreover, these studies point out that technology lead to job polarisation and the need for education reforms. Many have asked whether this time is different to technological revolutions of the past. It is commonly argued that the digital technologies impact not only on a specific segment of employment or industries – thus for example allowing a shift of workers from agriculture to manufacturing to services - but that these are applicable and substitute work and employment in all industries simultaneously. Specifically, digital technologies and computerisation not only impact on labour demand in specific industries, but also have the potential to replace routine tasks in the economy as a whole, which could lead to large declines in the demand for human labour on aggregate. 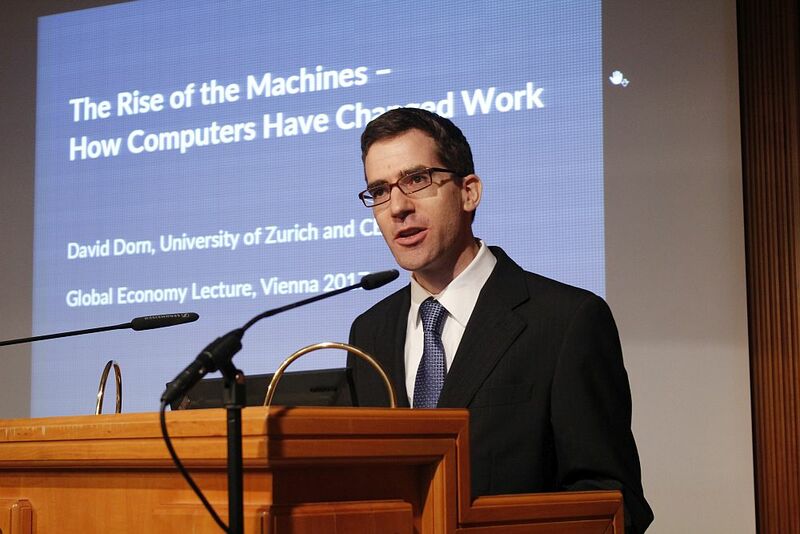 Addressing this question in this year’s Global Economy Lecture organised by wiiw in cooperation with the Austrian National Bank, Professor David Dorn discussed the implications of the ‘Rise of the Machines’ and how computers impact on employment and jobs. He concludes that new technologies will not lead to mass unemployment, but to job polarisation patterns and labour market inequalities. Moreover, he stressed that challenges to the structure and content of education are ahead.